I can remember my first website I built as a 19 year old in college. I was doing research on how to create a website as a newbie and came across a platform that made it easy for beginners. It’s called WordPress. You may have heard of it before. WordPress is a simple platform made for beginners, no coding needed. In fact, when I first started building websites on WordPress I was in your shoes and had no prior experience or knowledge of how websites worked. But as time went on I learned from research on how to use the WordPress platform to design professional looking websites that look just as good as websites coders build from scratch. 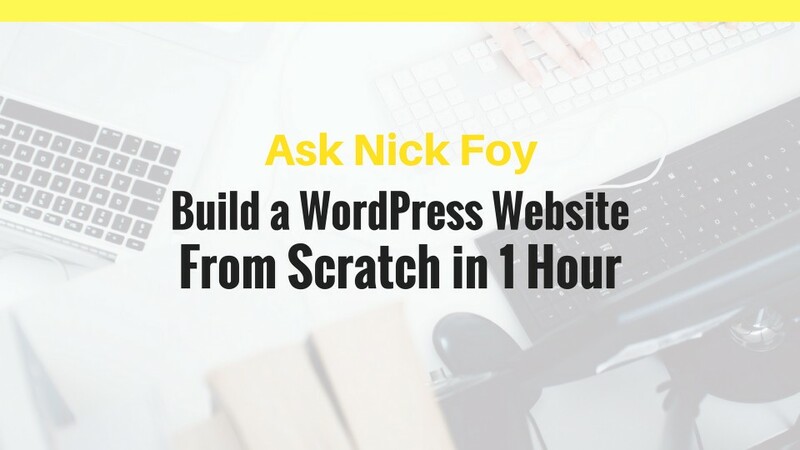 Today, I’ll be showing you how to use WordPress and build yourself a new website from scratch in just 1 hour. After watching today’s tutorial video head over to my YouTube Channel – Nick Foy TV and make sure you click subscribe! We’ve got playlists that organize videos by category so swing by the Plugins Playlist and WordPress playlist to find similar videos.